When we speak of writer’s block, we may actually be talking about a 'creation block,' writes Maya Sapiurka. One of the most interesting and entertaining parts of following my favourite authors on Twitter is witnessing a little bit of the writing process. Getting a peek into how my favourite books are written is like watching a real-time behind-the-scenes DVD featurette. But not every update is a positive one. There’s something that haunts all writers, be they professional or amateur: writer’s block. a distinctly uncomfortable inability to write. But what could be the cause of this vaguely described problem? Has a writer’s Muse simply deserted them, or can we find an explanation hidden somewhere in the brain? While there haven’t been any published scientific studies on people with writer’s block, we can take a few different avenues to try and determine what parts of the brain may be affected. One of those is looking at where words come from in the first place. Language has traditionally been thought to be one of the few skills found in a very specific location in the brain: on the left side of the front part of the brain, fittingly called the frontal lobe. This is called Broca’s area, named after the scientist who first reported that damage to this area led to the inability to form words, called aphasia. Since writer’s block is, fundamentally, an inability to write down words, this makes the frontal lobe an excellent place to start in researching the underpinnings of writer’s block. We can also look at writer’s block as an inability to come up with a story, be it fiction, non-fiction, or the story of how to program your remote. Most who experience writer’s block aren’t having trouble producing words – they simply can’t figure out what should happen next. A small number of studies have looked at the concept of “story creation” and what areas of the brain might be involved. In one study from 2005, participants were presented with a set of three words and asked to create a story based around them. On some trials, they were asked to “be creative” and on others to “be uncreative”. When this task was done in an fMRI scanner, which measures blood flow to different regions of the brain as an indicator of increased or decreased activity, there was a significant increase in activity in the prefrontal cortex. 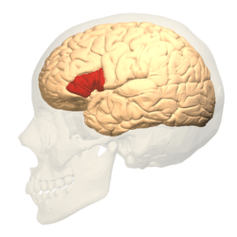 This increased activity was seen not just on the left side, where Broca’s area is located, but also in the right prefrontal cortex. Some of these areas, such as the anterior cingulate cortex, that are associated with making associations between unrelated concepts – a critical skill for a great writer. In another study, from 2013, participants were asked to actually write a story while in the fMRI scanner. They were given the first 30 words of a familiar text, asked to brainstorm a continuation of that text, and then given two minutes to physically write out their story. These stories were then scored based on creativity and measured against the brain activity data generated while in the scanner. Both the “brainstorming” and “creative writing” portions of the experiment showed strong increases in brain activity in the frontal lobe, particularly in the language areas. In the “brainstorming” condition, the subregions involved included those associated with planning and control, whereas many of those regions involved in the “creative writing” condition were involved with memory and the motor areas related to the physical act of writing. 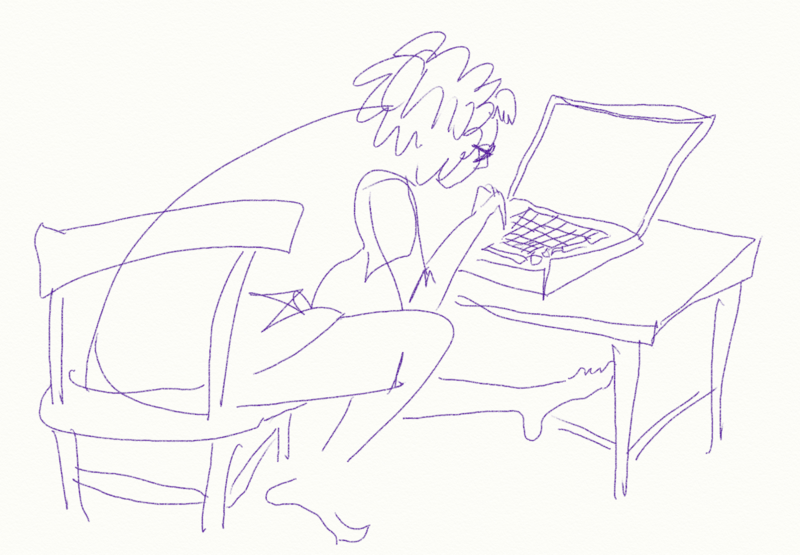 So when we speak of writer’s block, we may actually be talking about a “creation block” – the inability to make the connections and the plans that allow creative writing to occur. Read someone else’s writing. Studies have shown that people are more creative when they’re exposed to the creative ideas of others. Just make sure you’re only inspired by their writing and not copying from it. Break the work down into pieces. If you can’t get the introduction to flow the way you want it to, try something in the middle. Check off each part as you finish so you can get an accurate sense of how much you’ve completed. Write without stopping. Try writing a whole draft without going back and re-reading what you’ve written. Some of it may not be great, but I bet a lot of it will be usable. At the very least, it will give you a place to start. Plan breaks into your writing schedule. Many swear by the pomodoro technique, but find a rhythm that works for you. Go for a walk or grab a meal with friends or watch that video of the puppy that can’t roll over (a personal favorite). Relaxing will make it easier to get back into the writing spirit. Don’t procrastinate. The more you put off what you have to write, the more anxiety you’ll feel. This is always my stumbling block (and why I’ve watched half of the second season of Fringe while writing this). Ultimately, be kind to yourself. You’re not the first to go through this and you’re not the last. Being stuck doesn’t make you a bad writer or a bad person. It makes you a human being with a flawed (but marvellous) brain. Maya Sapiurka does not work for, consult, own shares in or receive funding from any company or organization that would benefit from this article, and has disclosed no relevant affiliations beyond the academic appointment above.